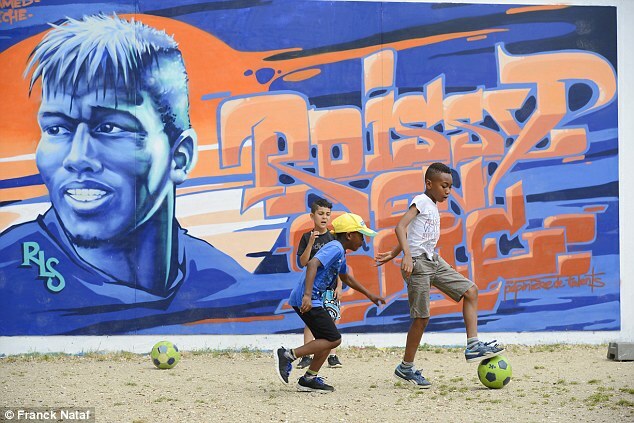 Anyone who thinks the game is gone because kids today don’t play outside any more needs to see the Renardiere housing estate in Roissy-en-Brie where Paul Pogba grew up. Young boys are out in the summer evening sunshine kicking a ball against a wall. And it’s not just any old wall. It bears the image of the player they all want to be when they grow up; the player Manchester United now want to buy for a world record £100 million. 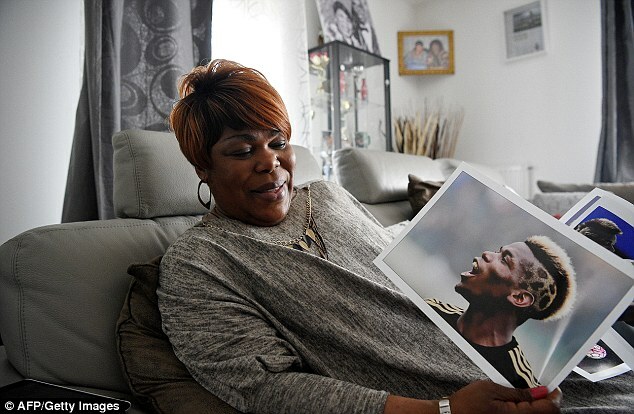 Pogba grew up with his two brothers Mathias and Florentin and mum Yeo Moriba in a flat on the 12th floor of a 15-storey white tower block behind the wall — No 13 on Avenue Auguste Renoir. It’s not difficult to imagine Paul’s mum leaning over the balcony here shouting down to her three boys for them to come in from their game — Paul always the last to obey the order. 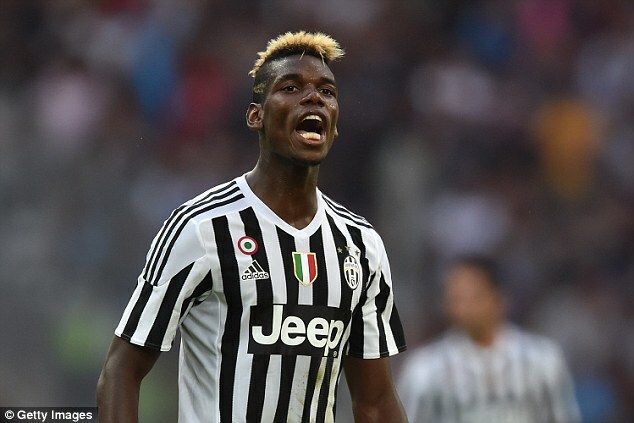 His dad Fassou Antoine Pogba and Yeo separated when he was just two-and-a-half but he continued to live close by. He had left a job as a telecommunications engineer in Guinea’s second city N’Zerekore and moved to France in the 1960s to settle in this south-eastern suburb of Paris, where he worked as a schoolteacher. He is 77 now and more than ever shies away from the attention having such a famous son brings — preferring the memories of having him stay over at weekends when they would watch matches on television together, especially if Marseille, who Pogba favoured at the time, were playing. A five-minute stroll out of the estate, past a group of older men playing boules under the shade of an avenue of horse chestnut trees brings us to the Stade Paul Bessuard, where another of Pogba’s mentors spends his days. Pogba played his first competitive football here for club US Roissy-en-Brie, whose senior team play in the ninth tier of French football. Sambou ‘Bijou’ Tati is a club legend. He started as a goalkeeper for the team, he later managed here, becoming Pogba’s Under 13 coach and now he is the club’s president. The last No 10 shirt that Pogba ever wore for Roissy-en-Brie still hangs proudly in his office. ‘Paul would come home from school to play in Renardiere and then he would come and train here and then he would go home and play again in Renardiere until it got too dark to play any more,’ recalls Tati. 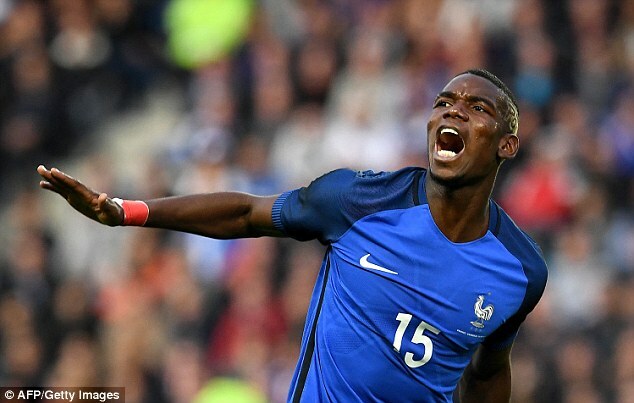 Pogba might come across as flash but there is nothing showy or puffed-up about his world, growing up between the housing estate that its inhabitants call ‘Le Quartier’ or ‘Le City’ and the club where he was so impressive that Le Havre sent scouts to watch him play when he was still only 12. Pogba hasn’t forgotten this world, either. That much is evident from the Juventus shirt that is framed and proudly displayed in Tati’s office. ‘To my first-ever Dream Team’ is the signed dedication written into the No 6 on the back. ‘He would play with his older brothers Mathias and Florentin in the neighbourhood and he was small so he would get kicked but he learned to be tough and not get pushed around,’ says Tati. Mathias and Florentin are twins, three years Paul’s senior. They were all good table tennis players as youngsters with Mathias an under-12 regional champion. The boys loved the Manga Japanese cartoon about football Olive and Tom, Champions de Foot as it was known in France — the twins calling themselves the Derrick Brothers after the main characters. Mathias has played as a striker with Partick Thistle, Crewe, Wrexham and Crawley Town and Florentin as a defender for Saint-Étienne. Everyone in Renardiere agrees, however, that it was always going to be Paul who went the furthest. Back in front of the wall that bears his image, there are five kids playing with a ball and 100 yards or so away on the estate that houses just over 5,000 inhabitants, mostly young families renting the modest but smart accommodation, another game is played out on a raised, circular concrete pitch with green benches at either end serving as goals. There is no graffiti on Paul’s wall; there is almost no graffiti anywhere. There is a burned-out car in front of the block where Pogba was raised but even that has been parked neatly inside the white lines of one of the parking bays while a group of five men all have their head under the bonnet of another vehicle with jump leads clamped around the battery and not a lot happening when someone tries to turn the engine over. When the boys left this neighbourhood, first the twins to play in Celta Vigo’s youth team and then Paul to play for Le Havre, their mum found the silence in her flat hard to handle. The sacrifices were worth it though. Yeo now lives in nearby Bussy-Saint-Georges in an apartment bought for her by Paul after he moved to Juventus. She would love to see her boys all in the same team — practical in as much as they each play in different positions, impossible in terms of their ability. A practising Muslim and a proud matriarch, she has bossed Paul’s career, although she prefers to be seen as someone who has always advised him but never told him what to do. She stood up to Lyon owner Jean-Michel Aulas when his club wanted to sign him as a teenager ahead of Manchester United in 2009. She still bristles at the way she was depicted in France as selling her son to foreign money. She was even accused of accepting the sweetener of a new home that, it was falsely claimed, was offered to her by Sir Alex Ferguson. She would later stand up to Ferguson, too, when Pogba’s progress was deemed to be too slow at United. She told French media RTL Sport last month that she demanded talks with the United manager and to her surprise he turned up at her home alone for the requested meeting. But the gesture came too late. ‘We got together with Paul’s brothers and decided that he would not sign a new deal. Ferguson punished him by never playing Paul. He was alone. He even cried in Ferguson’s office for the way he was treated,’ she said. Just as she has protected Paul, so her old neighbours protect her in their own way by making sure not just anybody can stroll around the Renardiere estate taking pictures of the old family home, at least not without announcing who they are. The five men under the bonnet of that car emerge to politely but firmly enquire what the English journalist and his photographer are here for. It’s their neighbourhood after all: ‘Le City’ is their city and it’s polite for guests to state their business. Soon there are around 20 neighbours, some Paul’s age and some who would have been contemporaries of his older brothers. Almost all of them wear football shirts, from the faded Algeria top worn by the most senior of the group — whom every new arrival greets with a respectful handshake — to the Boca Juniors, Barcelona and PSG shirts worn by others. ‘This is Paris and we support Paris (Saint- Germain),’ says one of them when I ask him if we might see more Manchester United shirts on the estate if Pogba is back there next season. But others are left cold by the capital club, its wealth, its predictable Ligue 1 success and its sanitised stadium where stewards tell supporters to sit down if they get to their feet with anything resembling excitement. One of the group is Abdel, who played at US Roissy-en-Brie from the age of six in the same team as Paul until his friend’s talent took him to bigger things. Later he walks me back to Stade Paul Bessuard — that ten-minute stroll they both made so many times as youngsters. 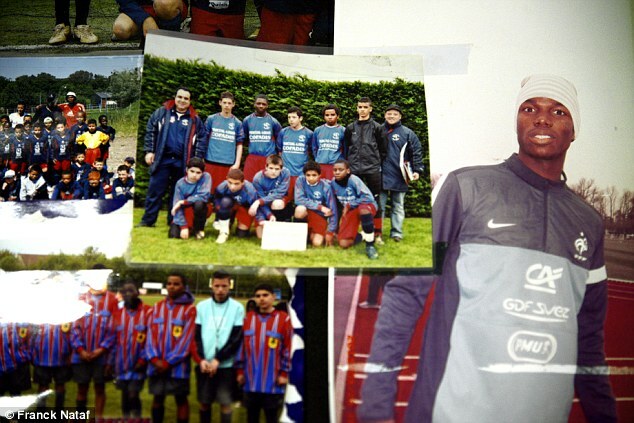 His team-mates were the ones crying when he left the club to move to nearby US Torcy when he was only 14. They had better facilities and played at a higher level. 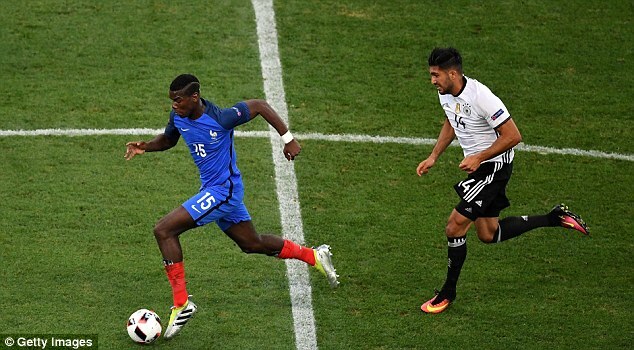 Was Pogba’s coach at the time, Tati, disappointed to see him move to a local rival? ‘No, I was the one that told them to take him!’ he says. 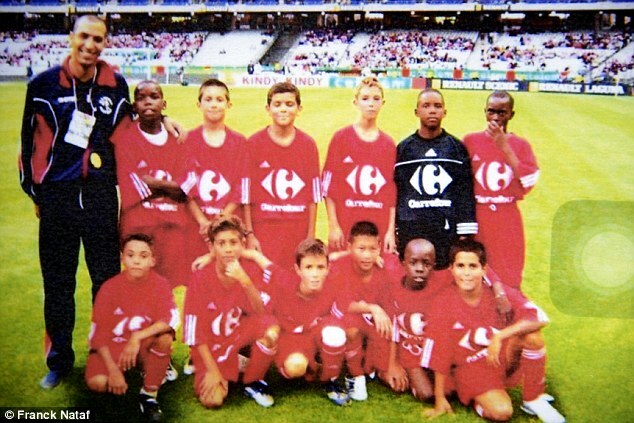 Just as Pogba had outgrown Roissy, so he would outgrow Torcy, joining Le Havre’s academy. With Pogba so far from home, he saw less of his father, his brothers and Tati, so his agent Oualid Tanazefti became more of a mentor. Mother Yeo, meanwhile, grew into her role with gusto. She would need to be strong for the battles ahead with Lyon, Le Havre and United. 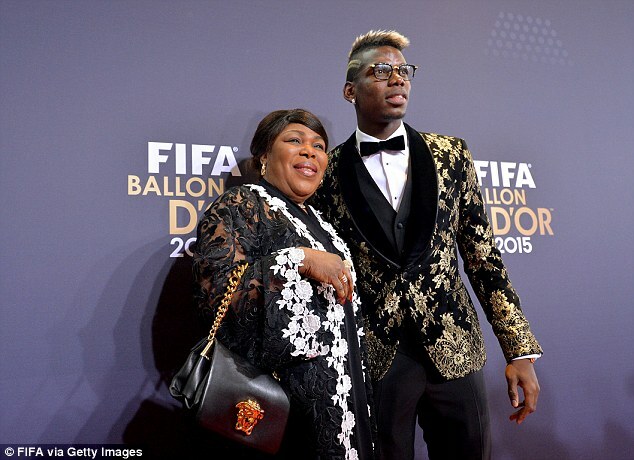 Tati believes it was Pogba’s discipline and determination, engrained in him by both parents, that set him apart as much as his talent. When he was asked to do 50 keepy-uppies with right foot, left foot and then his head one Monday in training by coach Aziz Keftouna, he failed the task. But he put so much work in over the next 48 hours that by the Wednesday he could complete the skill challenges with ease. Tati would occasionally dish out a half-time rollicking — telling Pogba everything he was doing was for nothing because the team were losing and his response would always be to lead the side’s second-half comeback. It was tough love and the two have stayed close. Tati has never been to Old Trafford but he plans to change that next season if Pogba signs. Ask him where he thinks Pogba should play under Jose Mourinho and he points to the whiteboard in his office. ‘When he played for me, if the centre forward is here,’ he says tapping on the board where an imaginary penalty area might be, ‘then Pogba is here,’ his finger now on the space just behind the striker. US Roissy-en-Brie is due a face lift soon with a new grass pitch replacing the dusty red dirt one and maybe even a couple of stands around the perimeter. Pogba will not be the last talent to emerge from this club. Tati says 17-year-old midfielder Stanley N’soki, who also started out under him at US Roissy-en-Brie and is now at PSG, has the same characteristics as Pogba at the same age. There will never be another Paul however. 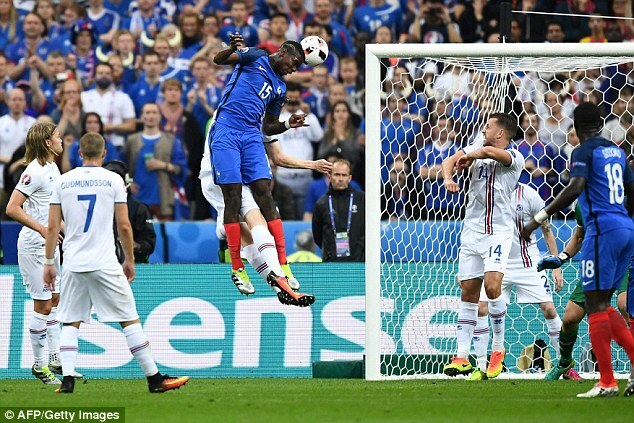 ‘La Pioche’ (pickaxe), as they called him here for his ability to work for the team, is a one-off. 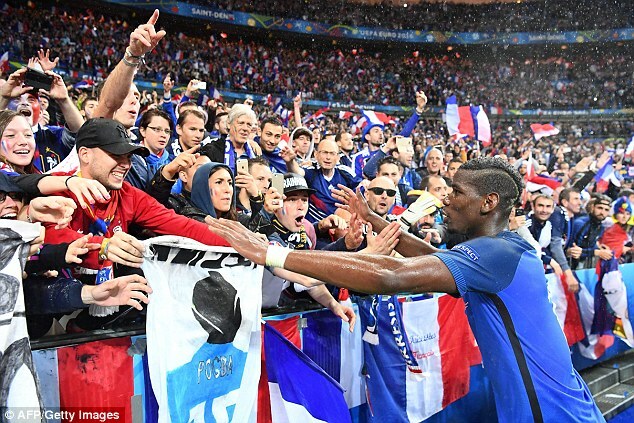 With the tight community of ‘Le Quartier’ and its closeness replicated at US Roissy-en-Brie, Pogba grew up with support, protection and guidance. ‘It’s an incredible story,’ says Tati looking out on to the pitch where he first realised the boy from the estate down the road might have what it takes to go all the way. Some of that next generation continue to bounce the ball off the Pogba wall as the sun goes down, back at the Renardiere housing estate. ‘It was a big mistake for him to ever leave Manchester,’ says one of the men still talking with friends on Avenue Auguste Renoir, ‘that was where his heart was’. 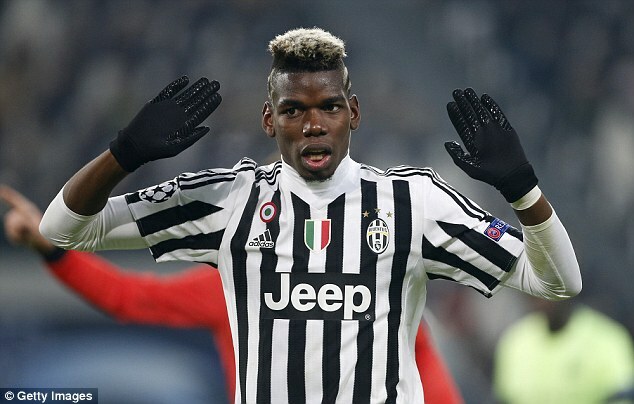 Pogba Act II could be showing at the Theatre of Dreams next season. If so, it will be followed here — the first stage he ever played on — as closely as anywhere else.